The Judicial Access Barriers to Remedies For Securities Fraud. 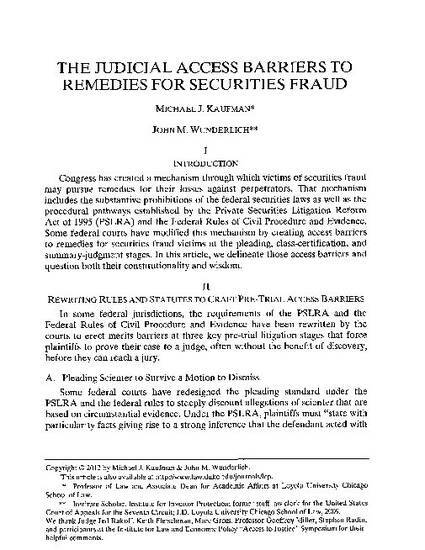 Kaufman, Michael & Wunderlich, John M., The Judicial Access Barriers to Remedies For Securities Fraud, 75 L. & CONTEMP. PROBS. 55 (2012).